You may not adjust volume up and down or answer the phone by using the buttons on the chord of your headphone. 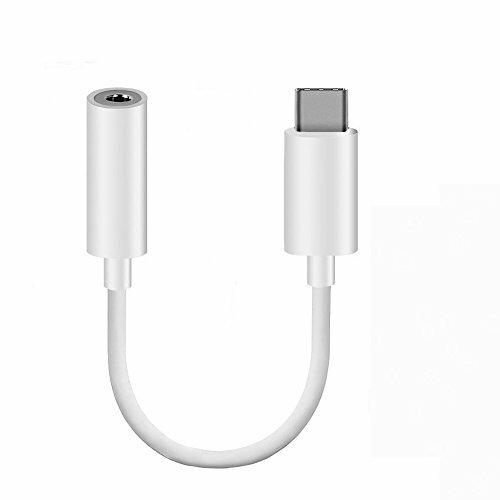 We suggested that you put the headphone to the Type-C 3.5mm Adapter first,then connect to your Type-C devices. Just plug and play, no install needed, it's so small and lightweight that you won't even know you have used it. Accessory only earphone is not included . -This product ship from oversea, it will take 1 or 2 weeks in normal. -Customer's concerns and support is very important to us. Please let us know and our customer service is always standing by to help you out from Tuesday to Saturday, 12:00PM to 9:00AM Western Time.